Lazy Seamstress: Finally Nora is here! Gosh I've been slow with this one! The Nora dress and her sisters Nell and Nancy made their debut on my blog last summer, and I kept meaning to release them as a pattern, but then kept putting it off, with one excuse after another, then Sam Sterken the editor of Sewing Made Simple magazine expressed an interest in Nora and asked me to let the magazine release her, which gave me the boot up the bum I needed to get things going again with this design. I'm really pleased how the chambray version turned out, it looks great on the model. 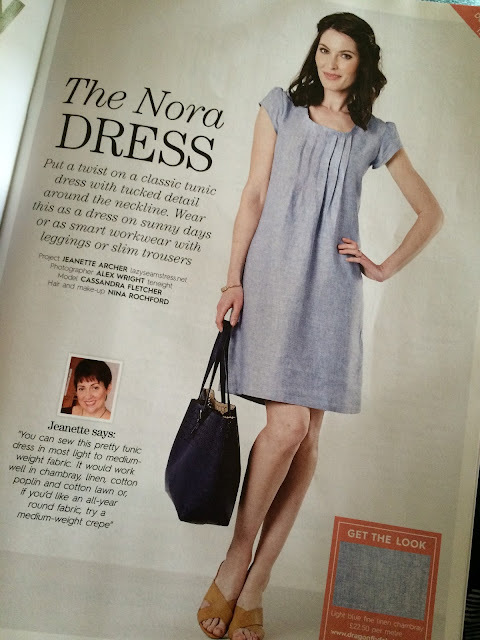 Nora is such an easy dress to wear. I have several of the first drafts that I wear in rotation over leggings or jeans at least once a week. The pattern can be downloaded from the Love Sewing website here the instructions are in the magazine, which also comes with two free paper patterns. And for those of you wondering about Nora's sisters Nell and Nancy, they are not forgotten, I promise I will release those one way or another this summer! 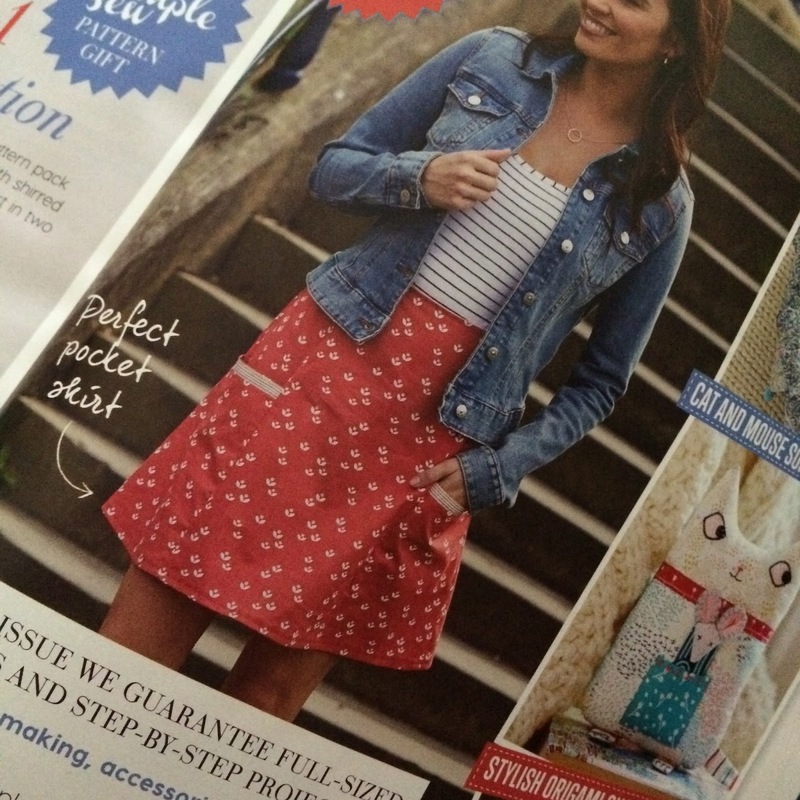 Maybe Nora isn't your cup of tea, then check out Love Sewing Magazine on 14th July when my Maude Skirt will be featured as a free download. Congrats on having two patterns in two different magazines. What an achievement. Ohh this is the type of dress I have been looking to make, how awesome!